Oceana is a charity I support because they help save oceans and marine life around the world. 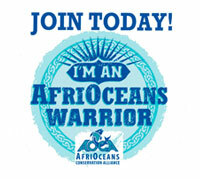 I am very proud to be an international ambassador for AfriOceans. Terry Corr, Lesley Rochat and the team do an amazing job with their SEA programs. National Geographic had taught me so much because I do research on their website all the time.